As a couple of Americans who have spent too much time focused on Washington, D.C. and not enough within our state (but making an effort to change this), we wonder whether the maneuvers regarding a certain piece of legislation introduced last session is common practice in the Nebraska Unicameral. We suspect it may well be. This time, though, there were at least a few more people paying attention. If you missed out, or if the details have faded from your memory with the passage of time, read along and follow us for a stroll down Memory Lane — a path we’ll wager more than a few people are hoping becomes overgrown with weeds from lack of use. LB 1110, a measure intended to fund prenatal care previously paid for by Medicaid for recipients deemed ineligible for the program by the federal Department of Health and Human Services, was conceived by Senator Kathy Campbell past the deadline for new bills. To be introduced, it required a suspension of the rules vote on the Unicameral floor. 36 out of 49 Nebraska Senators voted “yay” on its introduction. While the focus of this article is on the conduct of our legislators, it is important to note that this bill should likely not have seen the light of day. It is important to note the circumstances under which it was able to gain any traction at all. The Unicameral entered session with all Senators aware the State budget was in trouble; a special session to deal with the immediate problems was convened in November 2009. Senators knew spending would have to be cut while dealing with the annual budget bill, so legislation they introduced essentially could not call for any new spending. For politicians eager to spend other people’s money, apparently there was a desire to spend in search of a crisis. It is difficult to find other plausible explanations for LB 1110′s introduction. Perhaps some could argue that a vote to allow introduction does not constitute support for its passage. That argument sounds too similar to Senator Ben Nelson’s explanation for his cloture vote on the health care bill in December 2009. Introduction of the bill took up valuable legislative time while other matters ranging from action on protecting Nebraskans from implementing the looming health care law and seriously cutting the budget to untether Nebraska from its dependence on federal funding went by the wayside. While 36 Senators believed the bill at least deserved introduction, several Senators, including Kathy Campbell, Cap Dierks, and Brad Ashford, and several others believed it was so important, “extraordinary” action was called for. At least two Nebraska newspapers believed they needed to help out. A rather predictable but shameful campaign began immediately after Senator Kathy Campbell pulled L.B. 1110 (see background information here) from proceeding to a floor vote due to lack of support. Campbell likely pulled it due to Governor Heineman’s pledge to veto the measure and an unexpected public backlash. The campaign? To convince Nebraskans that a rash of abortions (or promises to have them) had broken out immediately following the demise of the bill. So went the media campaign assisting the attempted maneuver. to overcome the Governor’s promised veto, so you resort to manipulation. This smacks of Ms. Pelosi’s deem and pass scheme in the House and Senator Reid’s reconciliation move in the Senate. If at first you don’t succeed by proceeding in an honest, straightforward manner, do anything necessary to prevail, and it doesn’t matter if the legislative process is subverted along the way. Whatever happened to elected officials debating issues and voting on them directly, on their merits? You are a disappointment to me and to many others who see this as an illegal immigration issue, not an abortion issue. I understand that your motive is to undermine the Governor’s commitment to veto the measure by attaching it to a bill that deals directly with abortion. I find this move abhorrent. Do politicians check their ethics at the swearing in ceremony? Where is your integrity? I’ll repeat, process matters. Rules are there for a reason, and that reason is not so they can be bent or broken at will. If you lack the 30 votes to overcome the Governor’s veto, by all means, attempt to persuade your colleagues to your point of view, but spare your constituents the stench of more legislative political maneuvering. We’ve had quite enough of that from Washington. We’re not sure what was worse: a maneuver that attempted to pass legislation for which there were not adequate votes by attaching it to a popular bill; the use of the abortion issue in this underhanded manner; or the chucking of basic principles underlying proper legislative conduct and procedure. This was a concerted effort to create a “crisis” environment connected to abortion so that a bill, having more to do with Medicaid rules and immigration than abortion, could come to be viewed as abortion-related, thus enabling it to be attached to another, more popular bill that directly pertained to abortion. Nebraska law requires that bills deal with a single subject. L.B. 1110 was not abortion-related, so it had to be made to appear to be. The underlying principles of key importance here were personal responsibility and the fact that the government routinely subsidizes the lack of it. As Ronald Reagan once said, “If you want more of something subsidize it; if you want less of something, tax it.” Individuals apparently incapable of paying or unwilling to pay for prenatal care themselves were supposedly threatening abortion if the state refused to fork over the money for that care. Nebraska taxpayers were held hostage as pregnant women held a virtual gun to their unborn babies’ heads. According to L.B. 1110 supporters, we should reward the hostage takers. We’re more of the Israeli mindset – we refuse to negotiate in hostage situations. Was it really likely that an actual increase in the rate of abortions would result from L.B. 1110 being pulled? There is a glaring lack of logic in such a decision, particularly when viewed from a financial standpoint. The LJS article noted the lowest tier cost of a prenatal office visit as $30. Doing some mathematical calculations based on typical weeks’ gestation with the number of office visits of average frequency for a typical, low-risk pregnancy, the cost of prenatal care is essentially the same as the cost of the least expensive abortion procedure ($450), as quoted by Abortion and Contraception Clinic of Nebraska. (Calculation based on first visit at 4 weeks gestation, 1 visit per month through week 32, with weekly visits weeks 33 – 40). Even if we added as much as $200 or $300 to the cost of prenatal care, presuming some additional costs or a higher average fee, were we to believe that women would be driven to kill their babies over such a sum? And again, this assumes the woman qualifies for the lowest cost abortion procedure available. It’s also important to note that the costs of prenatal care are incurred periodically over the weeks/months of the pregnancy and can be paid for on that basis — in installments. The cost of an abortion is very likely due before the procedure is performed or, alternatively, in a lump sum shortly thereafter. At what point in this whole process do we start asking ANY questions related to the woman’s responsibility for her choices? If the woman could afford the abortion, why couldn’t she afford the prenatal care? Why are the taxpayers of Nebraska responsible for that choice, but she is not? Further, tangled up in this whole question, as noted in the letter written to Senators who were contemplating sneaking L.B. 1110 into another bill, was the issue of funding medical services for illegal immigrants. By providing services of all kinds, including medical care, to illegal immigrants, what kind of signal are we sending? Again, if we want more of something, subsidize it. Lincoln Journal Star and the quoted clinic overstepped a bit in their advocacy of this issue. After we were told the sky was falling (a rash of abortions), as a “kicker” we were supposed to worry about women giving birth at home. Prenatal care funding and labor and delivery services are separate issues. Why was it necessary to raise this issue in the story? Are clinicians incapable of informing their patients in regards to coverage for labor and delivery? While Medicaid does not fund prenatal care, it does pay for labor and delivery for qualifying individuals. That does include illegal immigrants because the child will be an American citizen the moment it is born. As of 2008, 48% of all Nebraska births are paid for by Medicaid. OneWorld Community Health Center of Omaha, the clinic whose employees can psychically divine when a patient is “serious” about getting an abortion, had a LOT at stake if Medicaid funding for prenatal care fell through. OneWorld reportedly lost approximately $500,000 in revenue to its clinic. Medicaid is, clearly, a booming business. That gave OneWorld 500,000 reasons for lobbying so hard for L.B. 1110. Incidentally, it also gives OneWorld the same number of reasons to see that its “pet” senators in the Nebraska Legislature reintroduce a similar measure at the next opportunity. Enter, stage LEFT, pun intended, the usual suspects in our illustrious Legislature who have promised to throw the switches to try to reanimate the carcass that is L.B. 1110 once January rolls around. 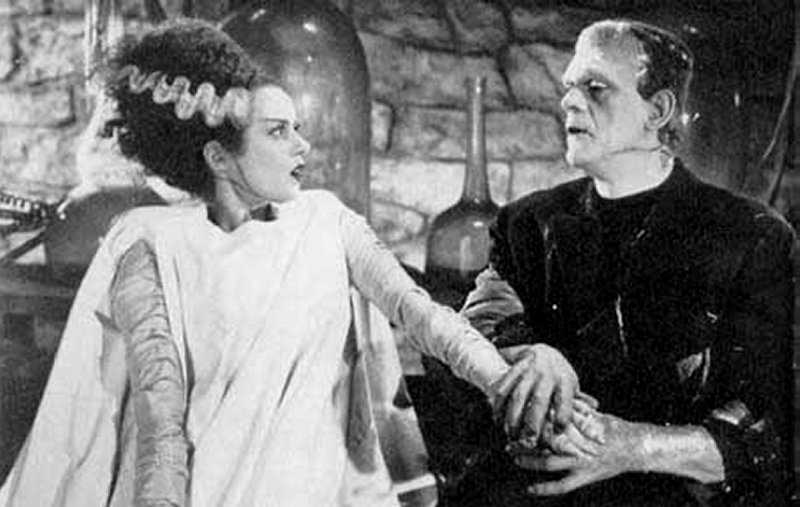 Kathy Campbell, sporting a Bride of Frankenstein hairdo, and Brad Ashcroft, his eyes wild with excitement, are probably holed up in the capitol dome right now, waiting for a stormy night, primed to scream, “It’s alive! It’s alive!” the minute a lightning bolt scores a direct hit. This past week the administration announced its choice for the first credit czar at the new Consumer Financial Protection Bureau. This bureau was created as part of the supposed Wall Street reform bill recently passed by Congress. This new bureau, which represents nothing more than another layer of useless Washington bureaucracy, will be housed within the Federal Reserve – one of the most anti-consumer institutions in Washington. The power elite used to move along the waters of the world like a majestic supertanker with plenty of time to take evasive action when an obstacle was sighted. These days it races along like nuclear-powered destroyer. An additional dominant social theme might be, "We've come too far to turn back, so get out of the way because we're not deviating from our route." Just yesterday, we wrote about NFL quarterback Michael Vick who ran a violent dog-fighting ring and who, years after the offenses, remained something of a sports pariah from a reporting standpoint. We pointed out that the sports-writing community in particular constantly reaffirms dominant social themes of the power elite and thus Vick continued to be a convenient whipping boy. At times I have the impression that maybe there are practicing political allies out there somewhere, ones who are involved with current affairs, and at times it looks like these would be Republicans and especially conservative ones. That's because strictly speaking if one were a bona fide American conservative, what one would be working hard to conserve is the principles of the American Founders, those laid out so well in the Declaration of Independence.